Stormzy, Catfish and the Bottlemen, George Ezra and Gerry Cinnamon are among the big names confirmed to perform at this year's Trnsmt festival. 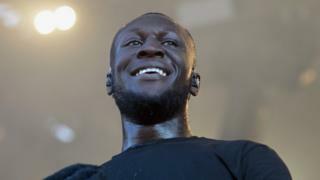 London artist Stormzy headlines the festival's opening day with Years & Years and Example also performing. The festival will take place on Glasgow Green, where it has been held since 2017, from Friday 12 to Sunday 14 July. "We've put together three great days of music for the best audience in the world," festival boss Geoff Ellis said. Stormzy will perform on the main stage on the Friday, while Example headlines the King Tut's stage. Catfish and the Bottlemen and Bastille will lead the main stage on the Saturday of the festival, while King Tut's stage will see performances from the likes of The Hunna, Steve Mason and Fontaines D.C..
George Ezra, Snow Patrol, Jess Glynne, The Kooks, The Wombats, Tom Grennan and The Amazons will take to the main stage on Sunday, the final day of the festival, while Circa Waves and Mystery Jets are to perform on the King Tut's stage on Sunday. Ezra previously performed at Trnsmt in 2017, where he premiered some of the songs which he included on his second album, Staying At Tamara's. "Since then I've taken these tunes around the world and back," he said. "It's going to be brilliant to return to Glasgow and play to an audience that has now heard the record, and I hope you're all up for one very big singalong!"